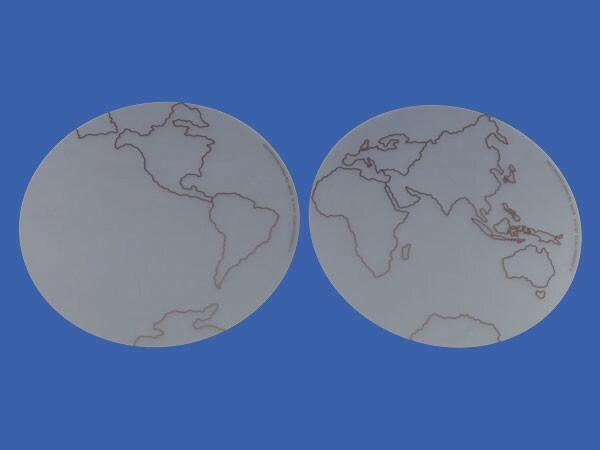 These hard plastic circles are designed for tracing the two hemispheres of the Earth and correspond in size to the hemispheres that appear on the Gonzaga puzzle map of the Planisphere and the mute and control charts. The Montessori Guide must give a presentation of the Planisphere Puzzle Map in order for the child to use the material correctly. (A different procedure for the presentation of the same equipment must be followed for elementary students.) The printed notes of this Montessori presentation from our CME Teacher Preparation Course are available for purchase from this webpage. Please search for: Puzzle Maps Presentation.